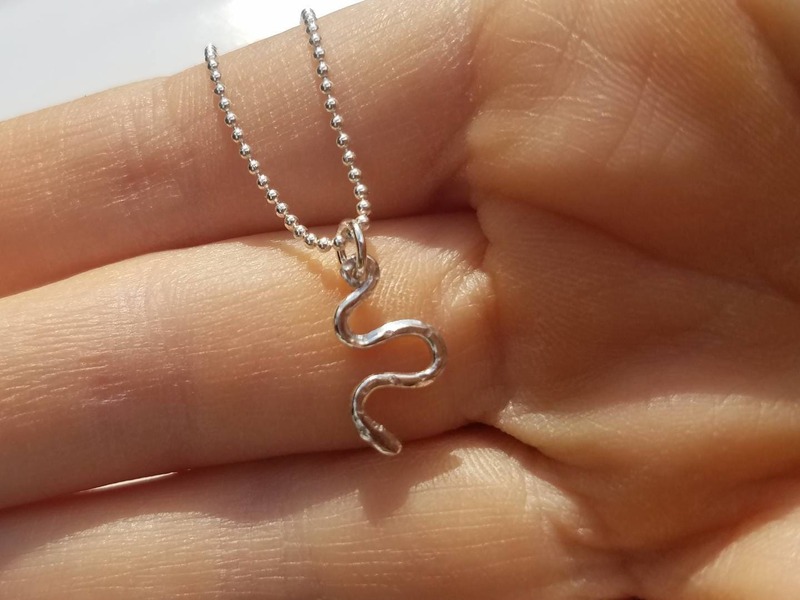 Snakes represent fertility and a creative life force. 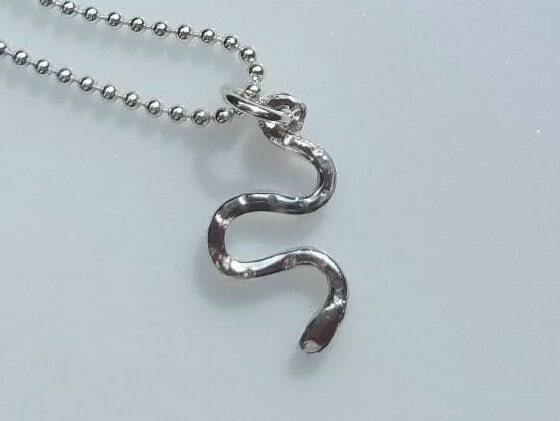 They are also symbols of rebirth, transformation, immortality and healing. 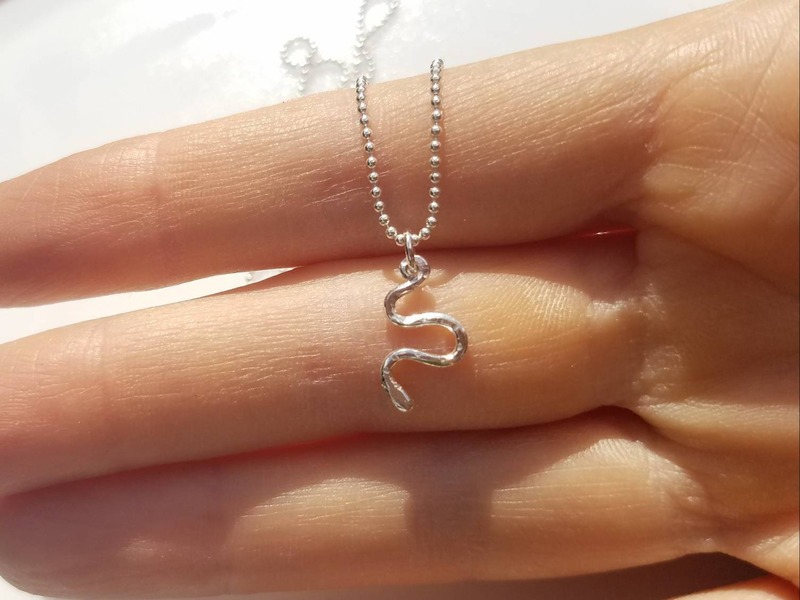 I created this little snake out of reticulated sterling silver, and gave it subtle detail. 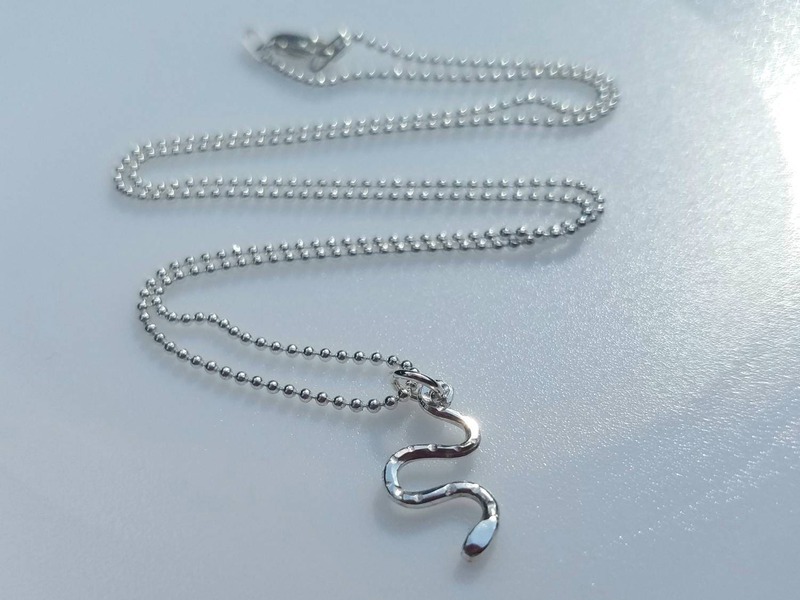 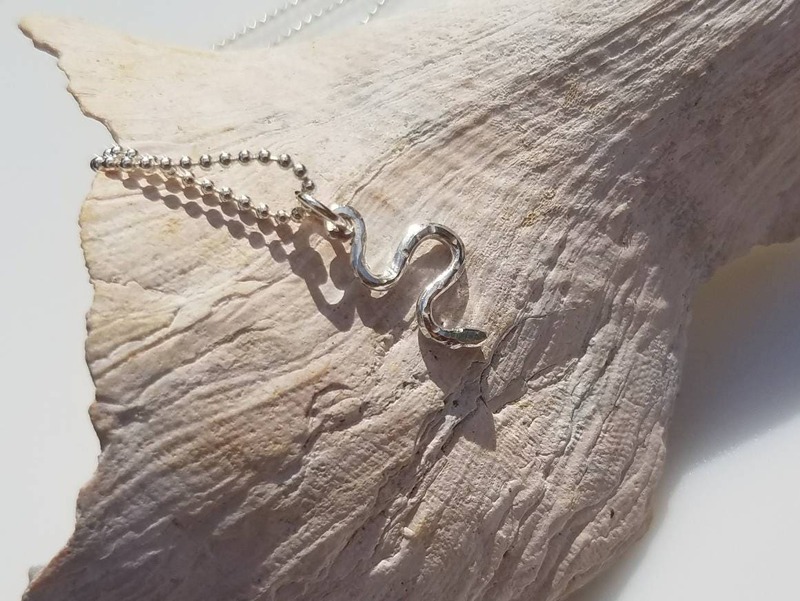 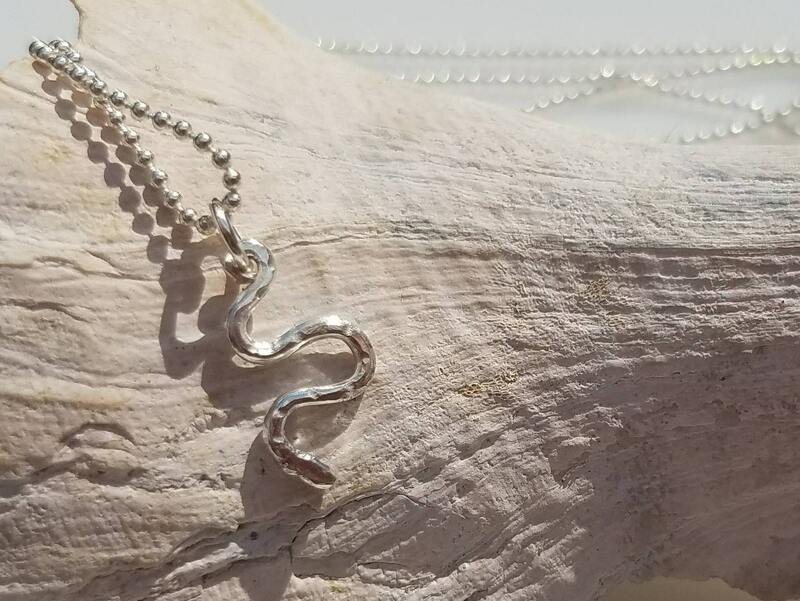 The snake measures approximately 1 inch and hangs on a beautiful sterling silver ball chain.